A shower needs to be perfect so make sure you select the right components to have a relaxing and satisfying shower experience. Bathroom showers play a vital role in keeping you clean and fresh every day. It helps in awakening all your senses by letting you have a quick wash before you head out to work and ensures you remain alert through the day. Its speedy nature and ease of use make it ideal for families. It lets us relax after a long, hard day or after a particularly tough exercise session. A weak or low-cost shower can lead to further maintenance issues, expending more money and time. You need to invest in very high quality, top-notch shower and use up all your monthly savings. 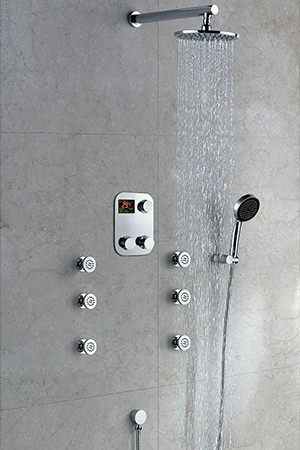 Take the time to compare the features with other showers and book the right shower accordingly. We have displayed shower sets and slide rail kits for modern as well as traditional bathrooms. 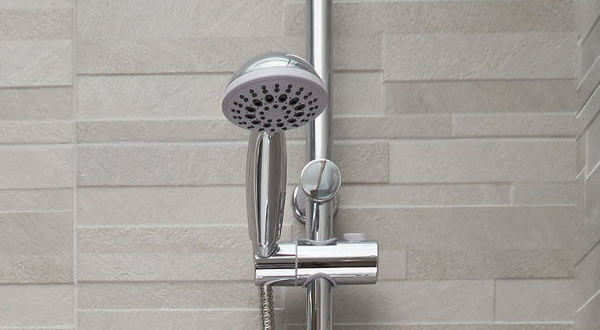 Shower sets are like pick-and-choose offerings where components are packaged or paired in different combinations so you can select items you require or lack to complete your shower unit, which is very handy when you are updating or remodelling an existing shower enclosure or assembling pieces for a new shower space. Feel free to browse through our series of shower sets, and take time to discuss the product with members of your family, and then select the right one for your bathroom, based on everyone’s requirement.